Accounts Receivable Aging refers to that process of sorting out the receivables according to the length of time that monies owed by customers have not been settled–counting from dates of maturity to the present. 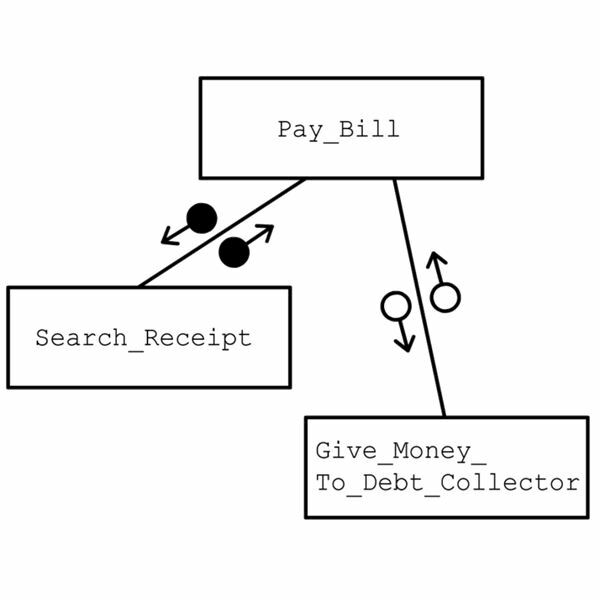 It is often integrated as part of a debt collection system. Sales extended on credit take the form of marketing tools in order to establish a clientele base that will bring business to a particular trader or supplier and thus maintain regularity in the generation of sales. However, credit is extended with the expectation that it will be realized as actual cash sales within the shortest time possible, usually 15 to 30 days. Sellers also have their own working capital to provide for, as well as suppliers with whom they have to settle their own credit obligations. In addition, they are interest-free short-term credits. All these make it necessary for sellers to sort out which customers are prompt in making payments on or before due dates, and which customers lag behind. This is where the process of aging of accounts receivable will come in handy as a tool for ready reference. In sorting out the amounts owed by customers, each account will be identified by name, invoice number, the date the credit sale was extended, the amount owed, and the maturity date or the final date of settlement. Kindly click on the image for a larger view of our sample Accounts Receivable Aging Worksheet. 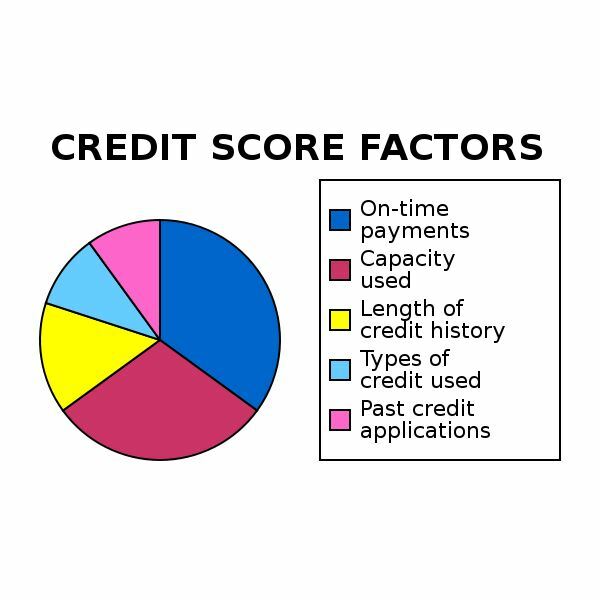 As these pieces of information are tabulated in the worksheet, the bookkeeper will be able to take note of the customers who have over-extended their credit usage. The worksheet has separate columns for multiples of 30 expressed in terms of days in each column heading, usually up to 181 days. Each multiple represents the age bracket under which every receivable will fall. Determine past-due days of each matured account and classify the receivable according to its age. The amounts owed by customers are re-posted under the corresponding column that represents the number of days it has remained outstanding. Reclassify them as past due in the Accounts Receivable general ledger account. The corresponding subsidiary ledgers for each customer shall likewise be segregated from the current accounts and are filed accordingly as past-due accounts. The bookkeeper should further note which of the past-due receivables have over-extended beyond 180 days. Accounts falling under this column will be technically recognized as Bad Debts and the proper provision for Allowance for Doubtful accounts will be set up. Please see a separate article about Allowance for Doubtful Accounts: Explanations and Examples. Slow collections of money owed by customers can affect the cash position of the business, and the accounts receivable aging tool will help pinpoint the problem accounts. One indicator that problems could be brewing in the handling of accounts receivable is the Accounts Receivable Turnover Ratio. The results of this aging tool will make management or the owner of the business aware that there is something amiss with the way credit privileges are being granted. This entails a review of the customer’s credit qualifications and assessments of the bases for allowing credit purchases. The collection methods as well as the efforts exerted in collecting the money due from customers will come into focus. Does the company provide incentives for early settlement of obligations? Are there default charges imposed for late payments as deterrents against laxity in settling accounts? Does the accounts receivable clerk remind customers about maturing obligations? The company or the business should assess the overall profitability of granting sales on credit inasmuch as this trading tool entails additional overhead expenses. Accounts Receivable Aging is only one of the activity ratios used in measuring the efficiency by which the business is being operated. 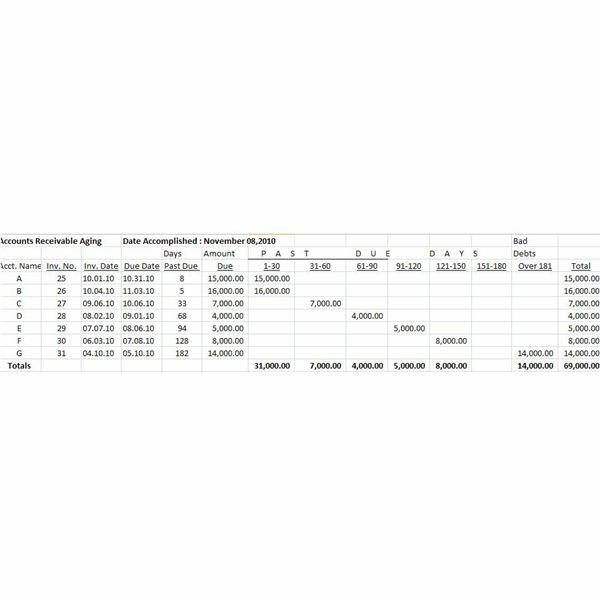 In order to pinpoint areas of concern, this accounting tool used in conjunction with other ratios like Inventory Turnover, Accounts Receivable Turnover Ratio and Days Sale Outstanding will provide management with data that can be used as a guide for implementing corrective measures.